As I have written posts for the linked servers with SQL Server option in previous post, the same way we have another option is available and these are with other data sources as a linked server. 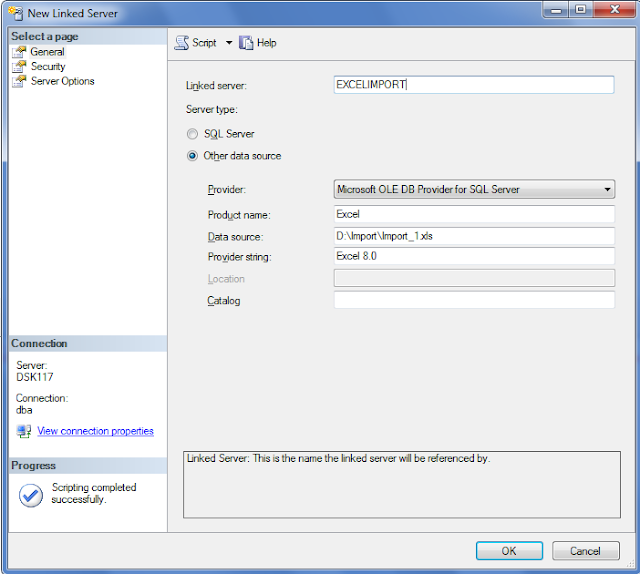 With SQL Server as a linked server, we can communicate with two SQL servers. But we can also communicate other data sources like excel, csv and others as well. Let us link our SQL server with Excel and get the data from excel. For that we need to go through the same way as I did for SQL Server linked server, but here we need to choose option of other data sources. How can we do it using TSQL?